I'll admit, when I first read about developing a gratitude practice, it sounded to simple to actually work. How could something that only takes 5 minutes a day to do actually help me to feel happier? Reading the research and results of scientific studies that compared the happiness of people who practiced gratitude on a daily basis to those that didn't made it pretty difficult to not at least give it a try. So I did. For a week I made time to write down 3 things that I was grateful for everyday. It was like my eyes were suddenly opened. I started noticing things everywhere that I was grateful for. It was like little happiness boosters were all around me, I just had to notice them. I found blessings in the burdens, and savored the happy moments. I appreciated the opportunity to work outside with my family when the cows went through the fence. Instead of being upset that I couldn't ride on a stormy day, I was grateful that I could be in a warm house and share hot chocolate with the kids. This one simple practice changed my attitude from seeing only negatives to seeking the positive. It has honestly changed my life-and it can work for you too! 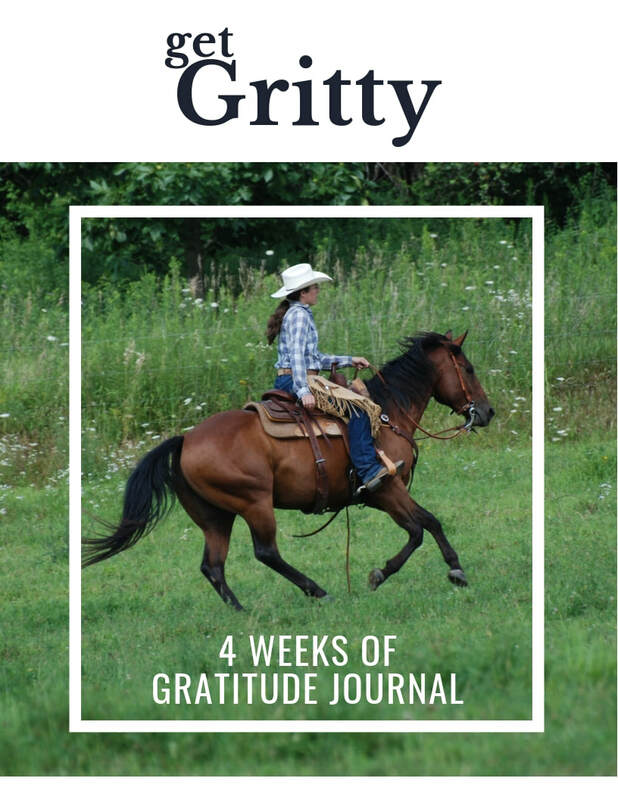 What does gratitude have to do with grit? Isn't grit all about sticking to your goals, doing the work that has to be done, and persevering through the tough times? And isn't gratitude about showing thankfulness, appreciation and reflecting on what you have now? So, how do the two connect? 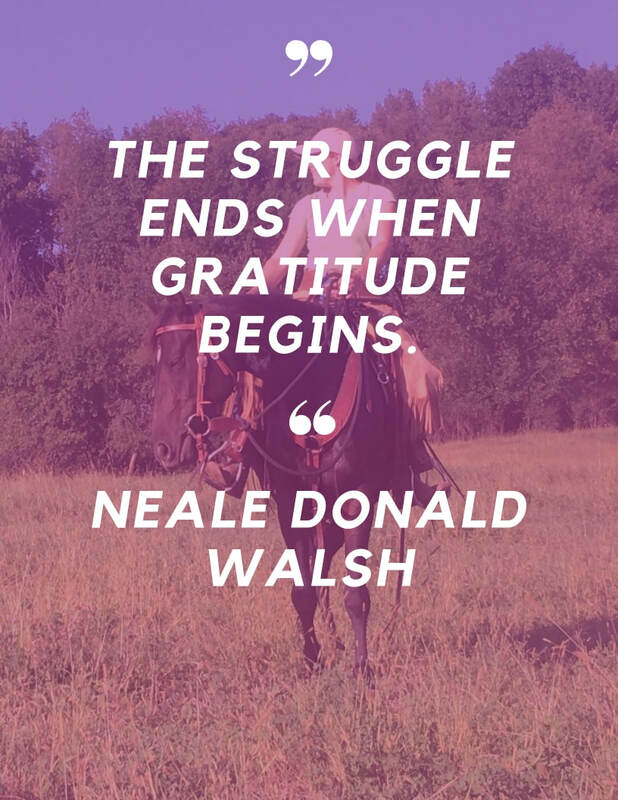 When you are grateful, you are connected to your purpose, to the reason that you chose to start your horsemanship journey. When you are grateful, you reignite your passion and your motivation for working hard towards your horsemanship dreams. When you are grateful, you recognize your positive qualities and your strengths, which makes your practice with your horse more effective. When you are grateful, you are able to persevere and see the silver lining in the tough times-and with horses, there will be tough times! And when you have passion, purpose, practice and perseverance, you have grit. So to get gritty, you need gratitude! And that is what this journal is all about! This journal has 4 weeks worth of gratitude pages for you to write and reflect on what you are grateful for. You can either print out the pdf and hand write on the pages, or you can keep a digital pdf journal as the pdf is editable. 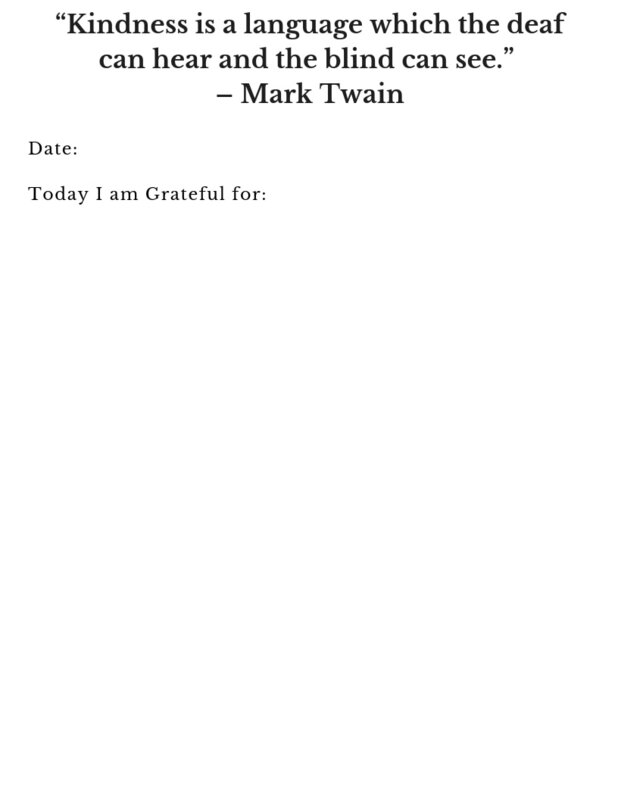 I recommend saving the file in the cloud, so you can open the file anywhere and add in what you are grateful for every day. ​What are you waiting for? Let's Get Gritty Through Gratitude! Get the Four Weeks of Gratitude Journal for just $1.99! After purchase you will be directed to a download page where you can download the pdf file of the journal. It is not happy people that are grateful. It is grateful people that are happy!